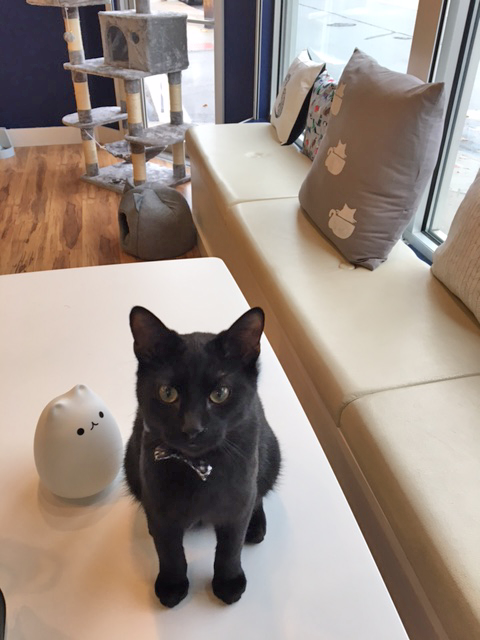 What better way to ring in the new year than with a brand new cat cafe? 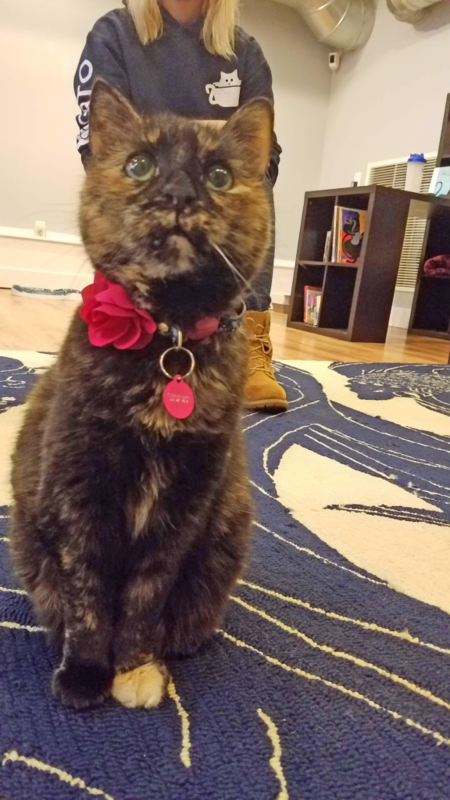 Cheers to affoGATO, the new Cleveland cat cafe set to open just as the confetti settles on January 2nd. 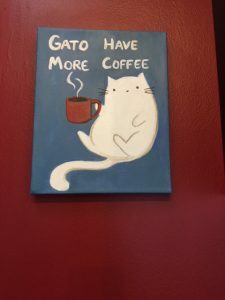 Set in the highly walkable and cafe-dense Tremont section of Cleveland, affoGATO is poised for cat cafe greatness. 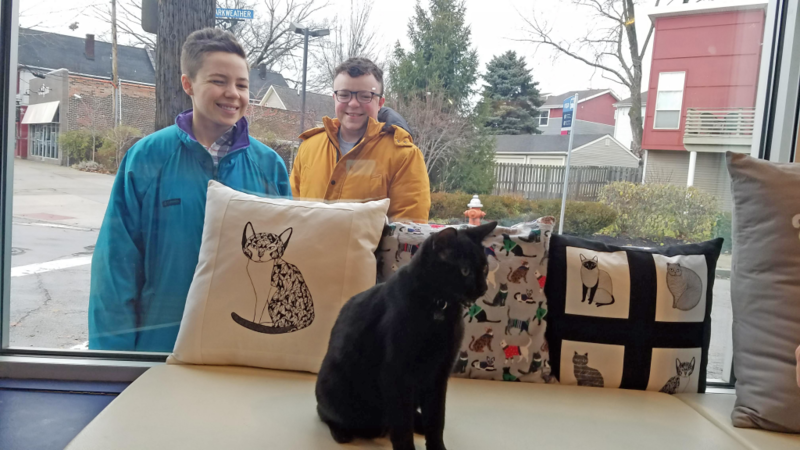 Owner Mandy Miller first caught cat cafe fever while living near Crumbs and Whiskers in Washington D.C. Moving home to northern Ohio, Mandy brought her cat cafe dream and crafted a business plan for the first Cleveland cat cafe. 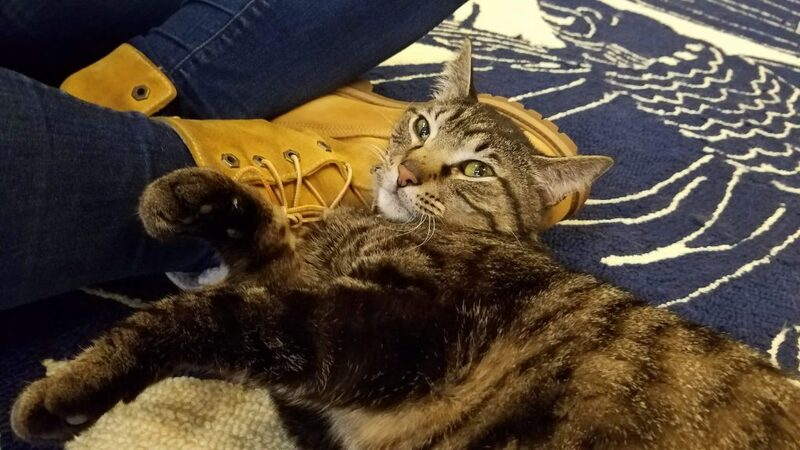 After over a year of research and planning, affoGATO is opening to an excited and welcoming cat loving city. 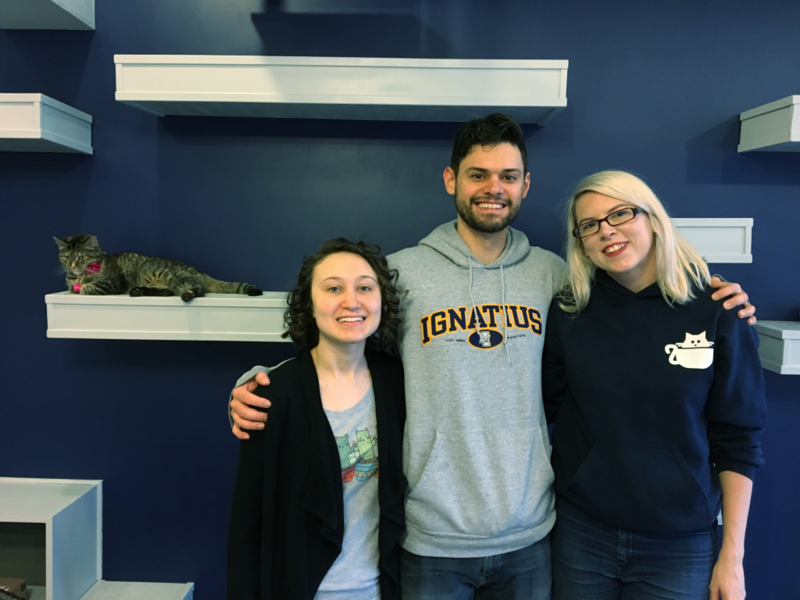 Beyond a major passion for cats, the affoGATO dream team has a collective professional skill set that promises a bright future for the new venture. The team credits the Cleveland community and Tremont neighborhood for embracing affoGATO. It is a uniquely Cleveland venture, with broad support from friends, family, and the community. 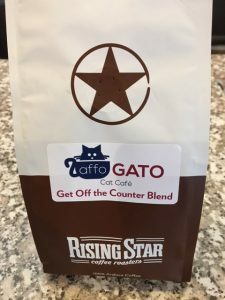 affoGATO is partnering with the Cleveland Animal Protective League to match rescue cats with forever homes. Six kitties comprise the inaugural cat crew, with the cafe eventually hosting up to sixteen cats. The cafe environment lets you and the kit kats interact in a relaxed setting and maybe even make a furever match. affoGATO has thought of everything, for both cats and people. Creative design elements for feline amusement include a vertical ascent course up the wall and a aerial recreation path suspended from the ceiling. The cats have lots of private perches to view the cafe; we get amazing cat portraits for Instagram. Looking to spoil your own cat with the very latest in cat decor and delights? Get your inspiration at affoGATO! How about adding a coffee table filled with cat toys to your living room? Yes, please. 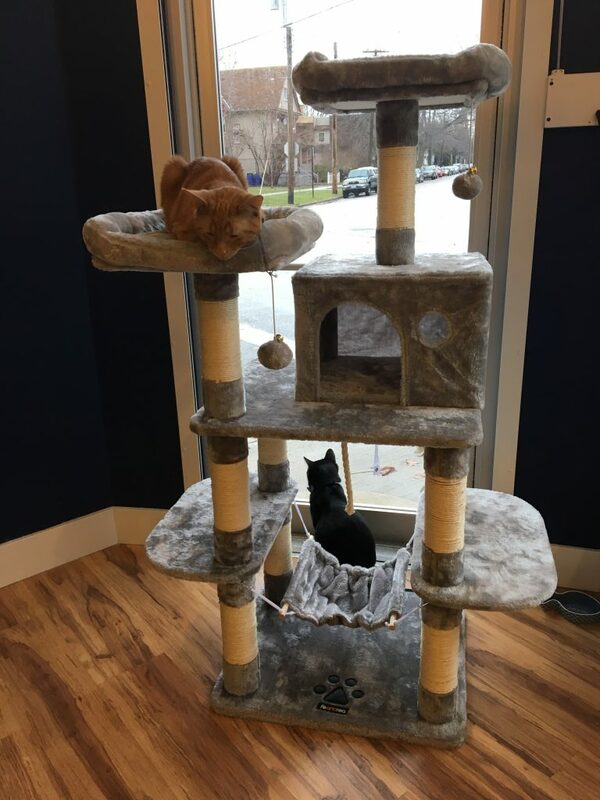 Towering, multi-tiered cat tree? Two please. 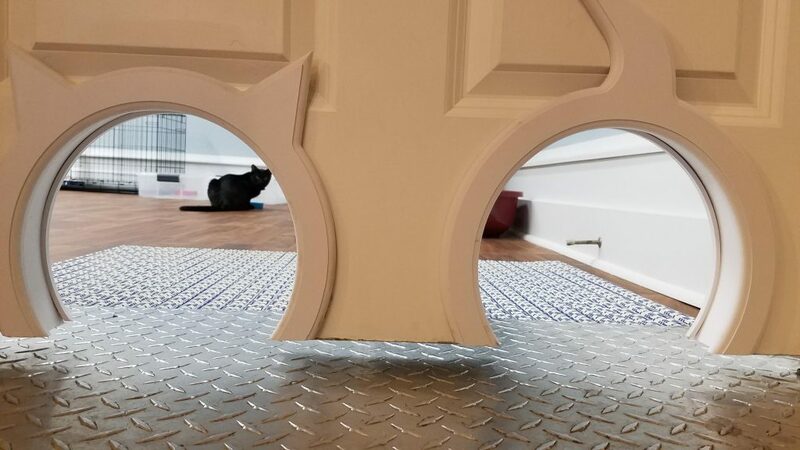 Cute cat doors to a secret cat room? Check. Privacy Please! Cats only! affoGATO cats have their own private space for quiet time, eating, and whatnot. The creature comforts don’t stop there. affoGATO is the perfect hangout for man and cat alike. The space is at once chic and comfortable, accented with feline inspiration. Love the cat pillows? Instagram does too! People went crazy when the pillows appeared in an Instagram post: “Where can I buy that pillow? !” Good news! Created by sister-in-law Sarah, the pillows will be for sale at affoGATO. You’ll want to live here! But wait, what is an affoGATO? affoGATO is an Italian drink made with ice cream and shot of expresso. Yummm. 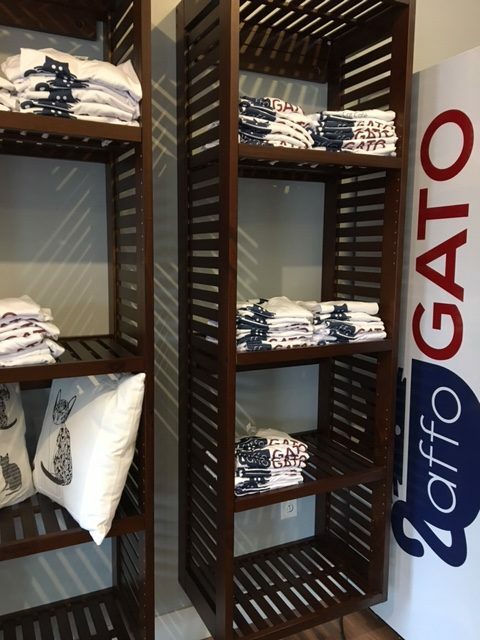 And of course gato means cat in Italian. affoGATO lives up to its namesake as a destination for delicious drinks, and cats. Cat cafe enthusiasts will tell you that some cafes find their strength on the cat side. affoGATO has it all. And yes, you can imbibe on that amazing Italian affoGATO treat with expresso and ice cream. affoGATO is serving up a solid coffee experience with a custom blend from local favorite Rising Star Coffee. Gimme that affoGATO blend! Don’t worry tea drinkers, affoGATO has you covered! 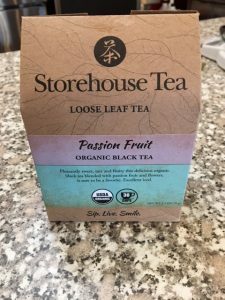 They are partnering with Ohio City based Storehouse Tea for your local cuppa. Oh yeah, gato get that coffee! The cafe itself is a great space to hang out for an hour or a day. 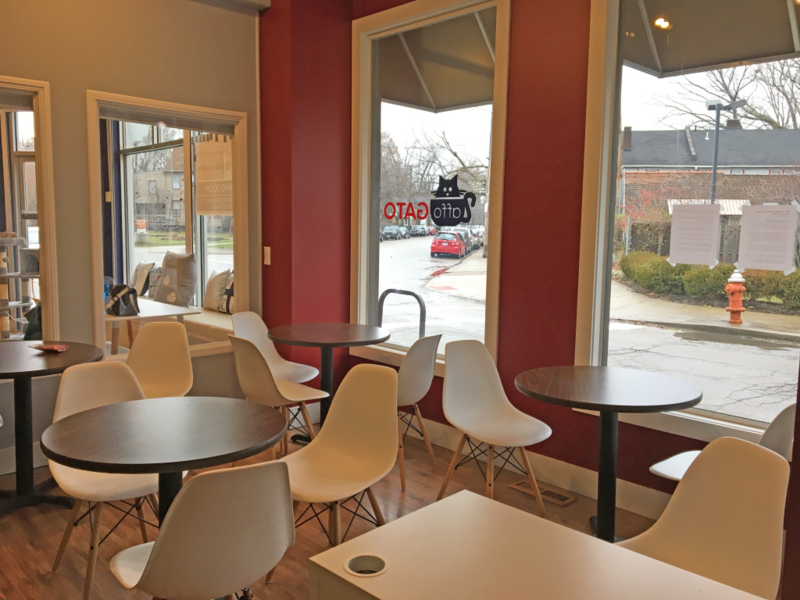 Don’t worry about leaving your friend who is “allergic” to cats out in the cold: the cafe is separated from the cats by glass and the whole establishment is fitted with super-powered hvac systems. So go for the coffee, but stay for the cats! We can say without a doubt that these are some of the friendliest kit kats you will ever meet. They will take all your love and attention. And maybe your heart. How would you like a devoted fuzzy wuzzy girl who’s only demand is your company and maybe a little dollop of wet food? 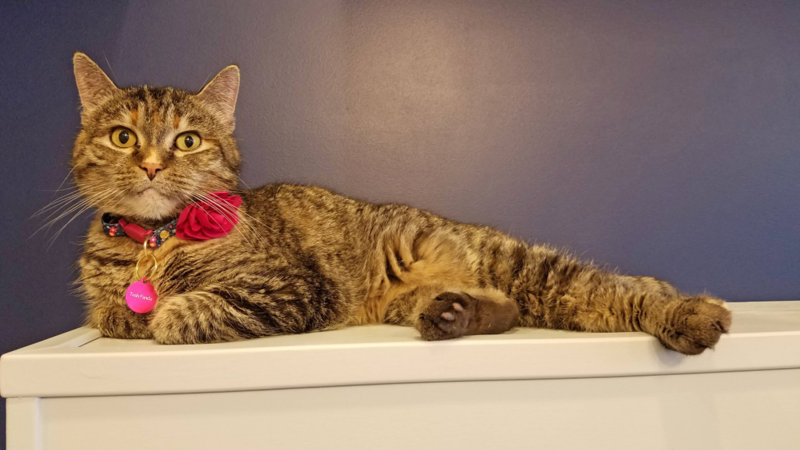 Kit Kate is feline perfection, with a paint dipped paw! 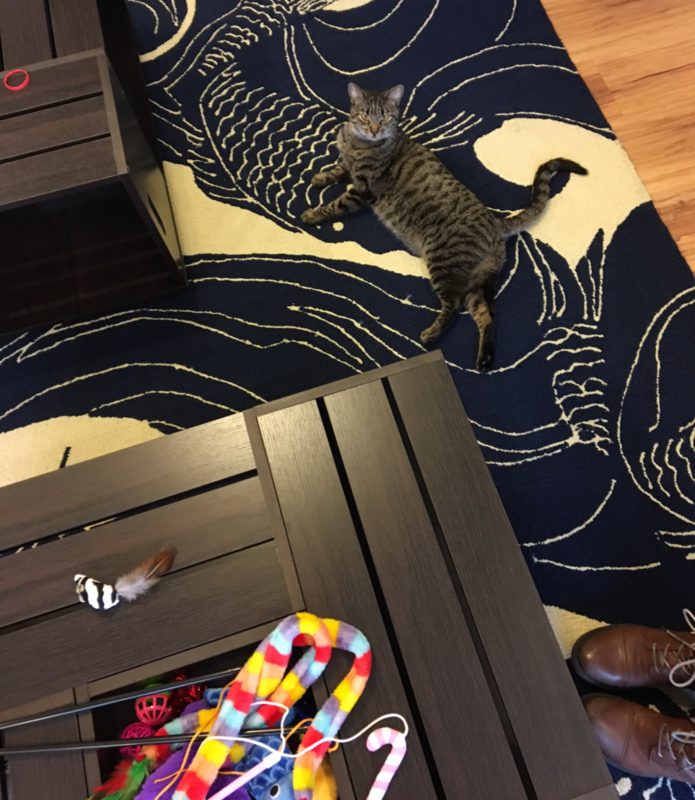 If you love cats but need to work, come to cowork with cats. affoGATO has a couple excellent work stations in the cat lounge, or you can set up shop in the cafe area. With the free wifi, caffeine, and special full day pricing option, you can work away a full day. We can’t guarantee your boss will ok it on your expense report, but it’s a definite maybe given the productivity boost you’ll get working in the company of cats. affoGATO also has an extensive library of cat books for your reading pleasure and casual browsing. Or you can just hang out and pet the most friendly kitties in Cleveland. So start 2019 off by making a reservation at affoGATO. 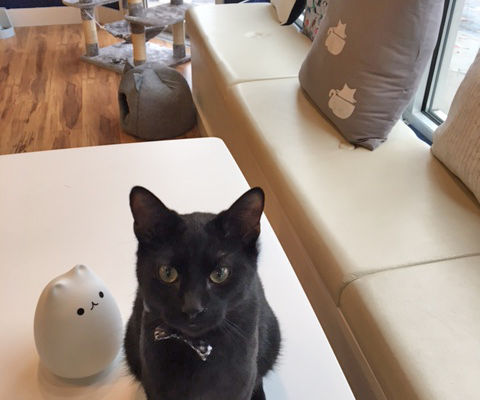 If you have yet to experience a cat cafe, know it may the happiest experience you’ll have. Having a bad day? Go to a cat cafe. Having a good day? It will be even better at a cat cafe. affoGATO welcomes kids and doesn’t require reservations for children under five. Can’t go yourself? Send your cat loving friends a gift certificate. Be sure to rep our CLE pride with an affoGATTO tshirt. And ladies, get your LADIES CUT shirts; seriously, they have thought of everything. 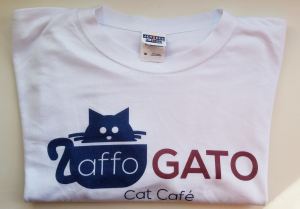 Ya gato get this affoGATO wear! Don’t delay! Get your reservation on the books to come see Cleveland’s finest felines and maybe even find a furever friend. Or you pop in! 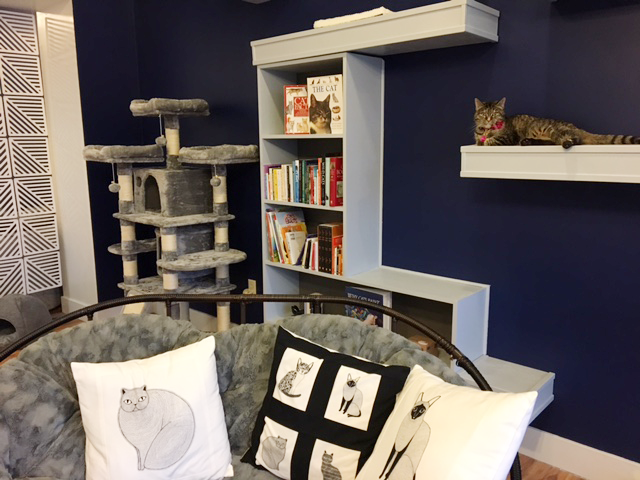 Walk-ins are welcome if there is room in the cat lounge, or you can just grab a coffee and view the cat activity from the cafe. affoGATO is easily accessible, with ample street parking. Five minutes from downtown, you can easily pop in for a visit or make a day out of visiting the Tremont neighborhood. This sounds so awesome! I am a cat-lover, so this would be so cool to go to. My boys are, too, so we would all enjoy it. Too bad Cleveland is so far away. But, my husband and I both have family in the city and want to visit sometime, maybe we will make it here, too! amazing, is this a cafe? it looks very comfortable and lots of cute cat cats. I think this cafe owner is a cat lover. the decoration is very simple but looks very neat and clean. What an awesome idea. 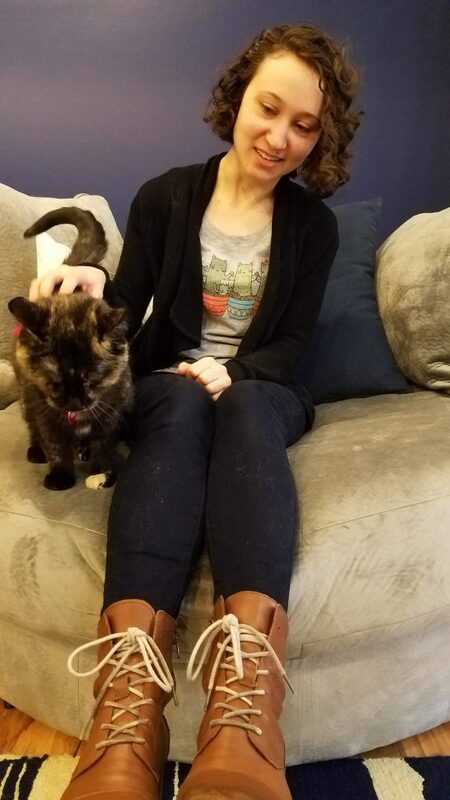 My older daughter is a cat lover. I will share that post with her. Maybe for her spring break, she can pay a vacation to that place. What a beautiful and exciting new place! I would definitely love to go there and cheer up my mood, every day! Haha this sounds awesome. There’s apparently a dachshund cafe in Florida and I need to go there, dachshunds are the best! How fun is this?! I need to share this with my BFF and brother who are avid cat lovers! Amazing, I’m glad they managed to start her business with this great idea. Wish her the best! 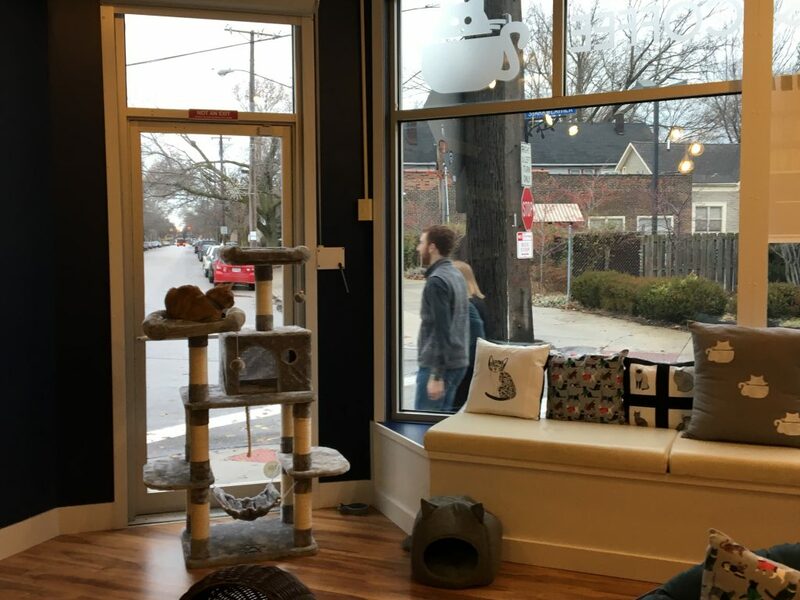 I have friends that loves cat and will recommend them this place to visit. I love kitties! 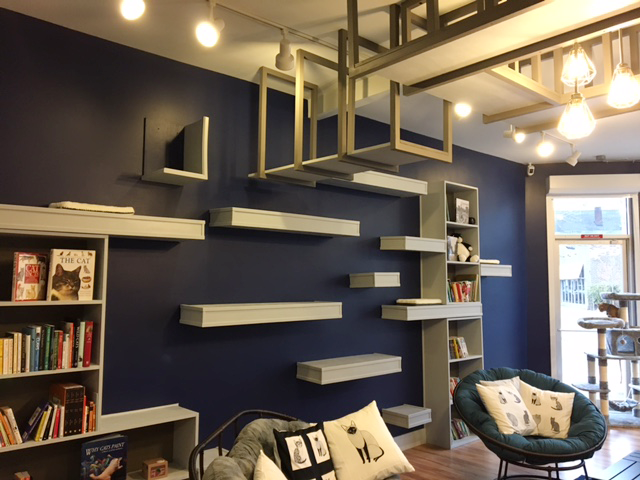 This cat cafe looks so awesome, I wish there was one near me! I think I would go there way too much! Oh my gosh, this is just too cool! 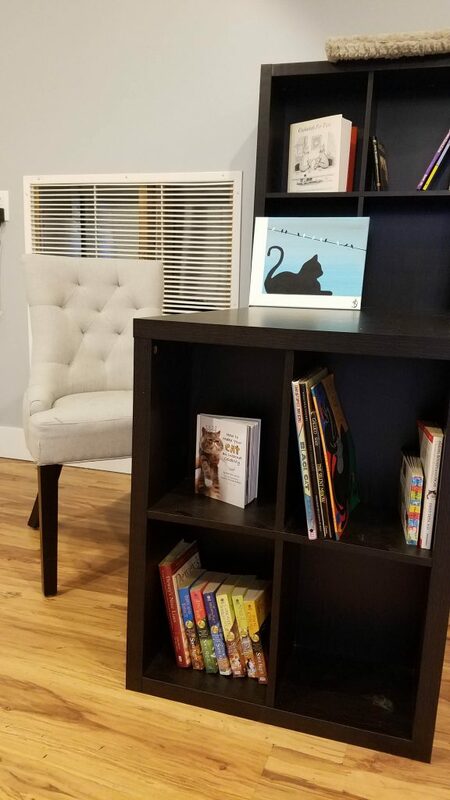 I LOVE cats but we don’t have any because of allergies – how cool would it be to go spend a few hours typing at one of their workstations in the kitty lounge? Wow! That makes me so amazed! Such a great place to spend time with cats. I love the idea and Congratulations! What a cool thing to offer the locals. 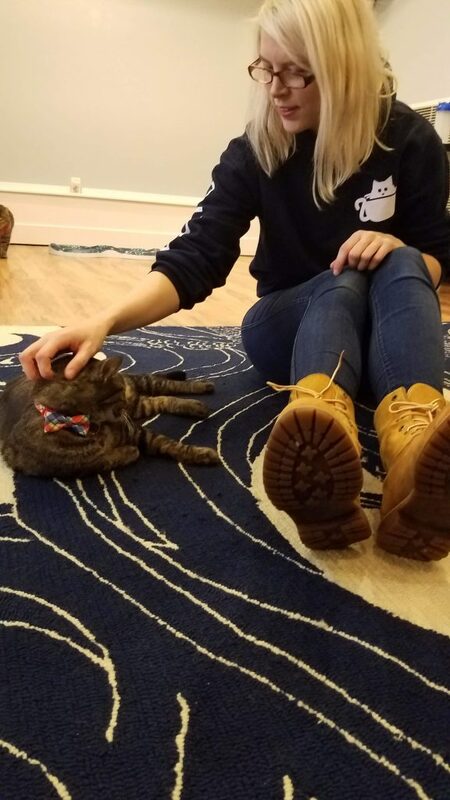 There is a cat cafe in NYC but I haven’t had a chance to check it out. 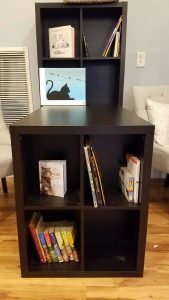 I’m a cat owner and this space looks wonderful.